Earlier, media reported that the United States would like to submit a draft UN Security Council resolution on the holding of new presidential elections in Venezuela. On Sunday, a diplomatic source told Sputnik that Russia had prepared its own draft resolution in support of Venezuela and intended to submit it to the Security Council. Russian Deputy Foreign Minister Sergey Ryabkov told Sputnik earlier on Tuesday that Moscow hopes this draft resolution will enable the creation of a document which will ensure sufficient support and be adopted by the Security Council. Political tensions in Venezuela escalated when Juan Guaido, the head of the opposition-led Venezuelan National Assembly, declared himself interim president on 23 January, disputing last year's re-election of incumbent President Nicolas Maduro. Guaido's declaration was almost immediately recognized by the United States and some of its allies. Russia, China, Mexico, Turkey and Uruguay have said that they consider the constitutionally elected Maduro to be Venezuela's legitimate president. Meanwhile, Lavrov and Pompeo also took stock on Tuesday of recent bilateral contacts regarding Afghanistan and the Korean Peninsula. 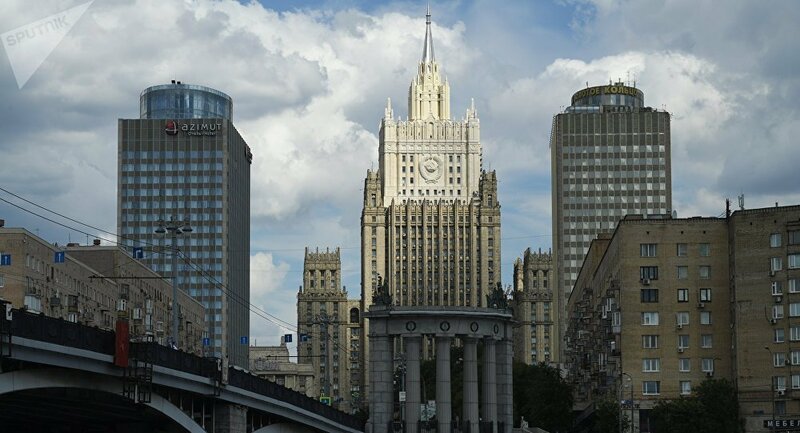 “They exchanged views on the latest contacts between officials from the Russian Foreign Ministry and the US Department of State on the situation on the Korean Peninsula and the Afghan peace process,” the ministry said in a statement. In addition, Lavrov called on his US counterpart to forego plans to impose additional sanctions on Moscow over the Skripal case. "In connection with the US intention announced by the Secretary of State to impose additional sanctions against Russia under the completely unproven excuse of last year’s shady history of ‘poisoning’ of S.Skripal and his daughter, who have not been seen since then, S.V. Lavrov stressed that this unjustified move by Washington will only aggravate the situation in bilateral relations and the atmosphere on the global stage", the ministry said in a statement following Lavrov's phone talks with Pompeo. The senior diplomats also touched on the situation in Syria, "agreeing on the need to continue bilateral dialogue in the interest of implementing UN Security Council Resolution 2254", the ministry added. That resolution, adopted unanimously by the Security Council in 2015, established a plan for a UN-facilitated peace process in Syria.